With a daughter now (she’s 11 months! ), I have every excuse to surround myself with classic children’s literature and fairy tales. 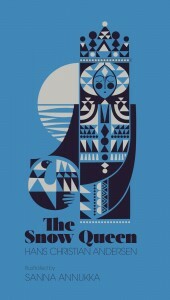 I jumped at the chance to read this delightful volume of Hans Christian Andersen’s The Snow Queen. The cloth binding and the illustrations are beautiful and classic. This will be a keeper for sure, perhaps even a new family heirloom for us! After I read The Fir Tree, I immediately looked into what other books were available in this beautiful style. I have never seen anything quite like the beautiful illustrations in this volume. The beauty of the design combined with the timeless tale by Andersen makes this a collectible! 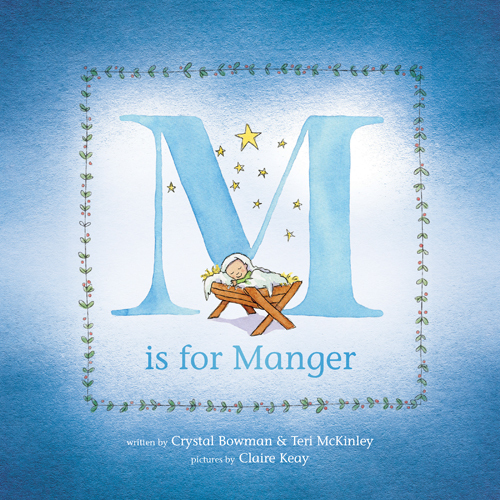 M is for Manger is a delightful children’s book for the holiday season written by Crystal Bowman and Teri McKinley, illustrated by Claire Keay. As it goes through the letters of the alphabet, M is for Manger features a piece of the Christmas story for little ones — from the Angel that came to Mary to the Zillions of stars in the sky. I really enjoyed this little alphabet primer all focused on the true Christmas story. While my little one won’t be joining us in time for Christmas this year, I expect next Christmas this will be a much-loved book in our house. The illustrations are simple and adorable, while the letters and rhyming provide a great rhythmic read that children will love. And, of course, this book teaches the story of Jesus’ birth — the center of all of the Christmas celebrations in our house. I love that each page tells a piece of the story and provides the Scripture reference where you can point children when they begin asking more questions as they grow a little older each holiday. I definitely recommend M is for Manger for all those with little ones in their lives! I received a complimentary copy of M is for Manger from Tyndale House Publishers, but I was not otherwise compensated for this review. All writing, thoughts, and opinions are solely mine. A Donkey’s Little Tale by R. Mitchell Scott is an adorable, simple telling of the Christmas story from the perspective of the donkey carrying Mary to Bethlehem. I never thought about how the donkey might view the stable not as an inferior resting place but as a delight. I know my own animals are fond of their dry, clean stall and sweet-smelling hay. Perhaps Mary’s donkey was just as happy to have such a place to sleep the night of Christ’s birth. I loved the illustrations in this book — designed by the author in clay and translated into sketches and final illustrations by Brittany Huskey — and the rhyming tale would be easy for even young children to follow along with. Most who know me well know that I think mice are just adorable, especially tiny little field mice and even the trouble-making ones I find in my barn. So a children’s Christmas book about mice seems right up my alley. The Manger Mouse by Sarah Martin Byrd tells the story of a young stable mouse whose job it is to prepare the manger for the Baby Jesus on that first Christmas so long ago. The story teaches children not only about the birth of Christ but also about being “called” to serve our Lord and Savior. Beautifully illustrated with pastels by Debbie Wall, this is a pleasant tale of a special little mouse and his encounter with the King of Kings. I wasn’t sure what I would think about J. Aaron Culpepper’s Chesed’s Order, but I found myself enjoying the children’s book. 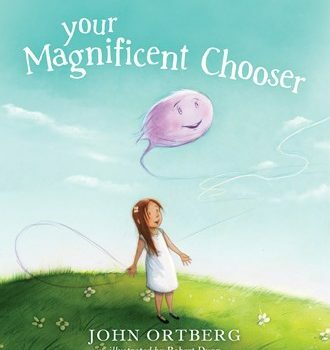 It is definitely full of narrative, not nearly as short as some other children’s books. And the illustrations aren’t my favorite. But the rich vocabulary used in this book had me reading with great pleasure. Words like lowliest, peculiarity, pensively, didactic, acquiescent, foolery and herald. The book reminded me quite fondly of another childhood favorite, The Littlest Angel, which also had such unique and rich verbiage. As a child, I listened to my mother read that book aloud every Christmas Eve, transfixed by the words, even if I didn’t understand them all. And it is precisely this that make Chesed’s Order stand out among children’s books. I received copies of A Donkey’s Little Tale, The Manger Mouse, and Chesed’s Order from Ambassador International, but I was not otherwise compensated for this review. All writing, thoughts, and opinions are solely mine. Want to win one of these books? Ambassador International has generously offered to give three readers one of these wonderful books. Use the Rafflecopter below to enter today! Winner’s will be contacted.